For the past few weeks I've been participating in the Blog Trends Twitter hop with the hashtag #blogtrends. It happens every Monday around 9pm EST & the topics range but are always great. Two weeks ago I totally spaced & thought the chat was on Tuesday but this past Monday we chatted about branding, staying authentic, & working your blog into your brand. This was my favorite chat of all because I've been experimenting with creating my blog as a brand & encouraging others to do the same. A great overall theme of this chat was blogging honestly & if you haven't noticed this is a big part of my blogging philosophy. I try to incorporate honesty into a lot of things in this blog. Oh, and if you didn't know the Secret Chapter to the eBook released this month is about Blogging Honestly. If you sign up for the newsletter (click to sign up!) you'll get access to it! (If you're already signed up & missed your copy, another link will be in the October Newsletter, don't worry!) But being genuine is a huge part of branding your blog. You want readers to know who you are & not just be a personality. You want to be a genuine version of you on & off line and in the Secret Chapter you'll learn how to balance honesty & private matters. If you're interested in the 3 Part Blogging Basics eBook that teaches you about Organization, Design, & Networking pick up your copy here! Did it move you? - Like I mentioned with this branding chat, it really moved me! 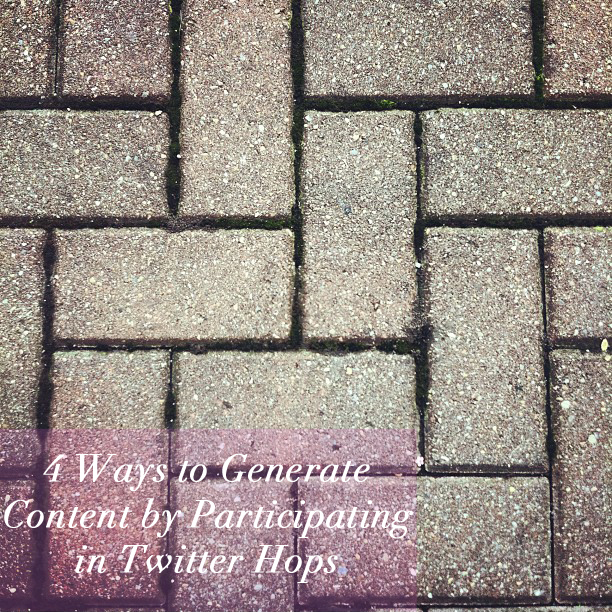 If you join a chat & the topic really speaks to you, incorporate that into your blog. If it's something you've experienced, feel you have some advice to give, or want to share your struggles with it others will appreciate it! We all want to know what to do & what to avoid when growing blogs, etc. This is the first one that really moved me & it's because it's a topic I am personally interested in. If it moves you, blog about it! Did you get some awesome resources to look at? - Through these chats a lot of people pass along resources that they love or look to for direction. If you're like me, you go through & favorite these resources as their mentioned to come back to later so you can keep up with the chat. If you've found some links or even blogs you love through the chat, share them with your readers! Everyone loves finding new blogs! This is great if you've found a topic that moves you OR if you're at a loss of what to post on a certain day. You can do a quick & easy, yet informative round up of the resources and blogs you've found. This type of post isn't just filler but it is super easy. You're also paying it forward. Try out Something that's Trending - A few weeks ago the chat was about using collages on your blog & how others created them. For me, I go to Polyvore because mainly I'm lazy & it does it for me but others seemed to be leaning towards creating their own through photo editing programs (photoshop & the like). While it seems pretty easy, I'm no background removing master so I thought I'd share how I use Polyvore in the chat (view the post here). With chats that lean towards Trending Topics you learn what other bloggers think & what seems to be popular now. Who would have thought that a lot of people think Polyvore collages are for the novices blogger but I think if you know how to do it right, you'll get an awesome collage. I am more comfortable with them so this is one trend I'll skip out on. I don't want to slave over Photoshop all day when a site can produce something just as good! Do you chat it up on Twitter? What Hops do you join? I've been meaning to join a few more!